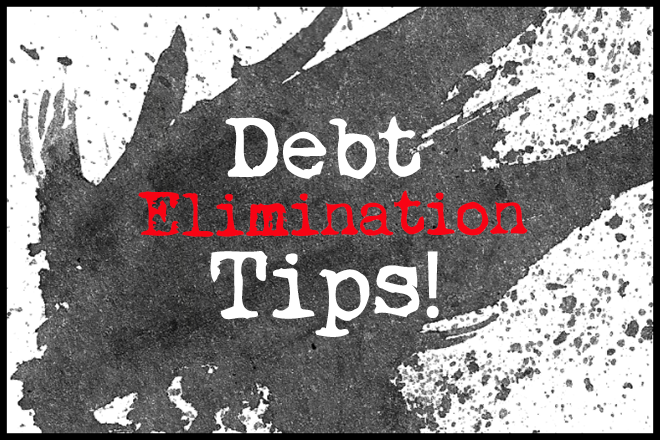 Welcome to another Debt Elimination Tips post – my weekly series where I share with you my best tips for getting out of debt as fast as possible. If you’ve missed any previous tips in this series, don’t worry because you can read them here. Today’s tip is about checking whether your creditors are playing fair with you – because if they’re not, you might be entitled to a refund of sorts, which you can use to put towards your debt. Please note some of the resources in this post pertain to UK readers only. But if you’re from other parts of the world, you still need to be checking whether you’re owed any refunds from your bank or creditors, so please keep on reading! Most of us put our faith in banks to keep our money safe. On the whole, banking our cash happens naturally nowadays; our salaries go in and we take money out when we need it. We swipe our debit cards or credit cards and everything gets sorted out behind the closed doors of the bank. Yes indeed, keeping our money in a bank has made our lives a lot easier than how things were many years ago. Banking is simple and easy. It’s even easier to forget that banks actually use our money to create money in the economy, for example by creating loans. Banking is definitely a two way relationship then. We need banks and they need us. But how many of us check our terms and conditions properly to make sure that we’re getting the best deal and more importantly, that we’re not being ripped off? Of course, we need to uphold our end of a bank’s terms and conditions too especially if we’re dealing with debt… but at the same time, we should be making sure that banks are sticking to their end of the deal too. There are various ways that the general public have and are still being ripped off by banks. Payment Protection Insurance (PPI) is still one of the biggest financial scandals in the UK today. This is where borrowers have been mis-sold PPI either by a creditor adding it onto their loans without their consent, by being told that taking PPI was compulsory and even by being sold PPI policies where it clearly wasn’t needed. The hubby and I were mis-sold PPI and after a lot of investigation, we received almost £10,000 in compensation which we paid straight towards our debts. So if you live in the UK and still haven’t found out whether you’re entitled to a PPI refund, you really should just in case! I wrote a post a while back explaining how to claim PPI in case you want a refresher. Although banks don’t do this quite as much as they used too, unfair bank charges are still happening. Prior to 2009, some banks were charging excessive amounts for breaching overdraft limits or bounced cheques. These days, those charges have mostly been lowered but people in financial hardship have a shot at getting some charges reimbursed, you can read this guide from Money Saving Expert on how to go about claiming. The payday loan industry here in the UK has been reported in the press time and time again over the last year or so for unethical practices – pressuring borrowers for payment, taking money without notice and general harassment by text and phone. Wonga, one of the biggest payday loan lenders in the UK, has compensated thousands of customers and even written off many payday loans because of the part it played in treating customers unfairly. If you’ve been a victim of dodgy payday loan practices, you can fight back! If you have a loan, credit card, car finance or overdraft, it’s worth checking your terms and conditions regularly to make sure that any charges you come across are as per your lending agreement – and that they’re not excessive in comparison to other lenders. You can also go here for finance advice. Always remember that you are the customer and that you have a right to be treated fairly. Yes, we need those banks but they really do need us too. They need your business – and as a customer, you should be treated fairly – otherwise, complain and claim. Anything you get back can be paid off your debts. 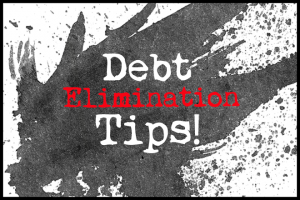 I hope you enjoyed this debt elimination tip! Don’t forget to subscribe to make sure you don’t miss out on any in the future. Its so important to approach your personal financial position ruthlessly like you would in a business. Therefore, referring to your debt holders as “creditors” is a good move, and trying to minimize what you are paying your creditors to ensure you have good cash flow is as integral in personal finance as it is in business! moneystepper recently posted…Is It Worth Going To University In 2015? Thanks Graham! I like the sound of that – approaching our personal finances as we would do a business – it’s true that in a business situation, we would make sure that get the best results financially every step of the way and also that everyone is adhering to what they are supposed to be doing! PPI? This is the first time I heard of it that I had to check my back statements if there was this PPI. Luckily, I had none of it. If I were in UK, I was getting this without my consent. I’d surely file a complaint. Keeping an eye on creditors is really a move to do. Jayson @ Monster Piggy Bank recently posted…Do you do comparisons before selling assets? PPI is relevant to the UK Jayson, but I’m sure there’s similar scandals happening in other parts of the world! Definitely worth checking that you know what you’re paying for.